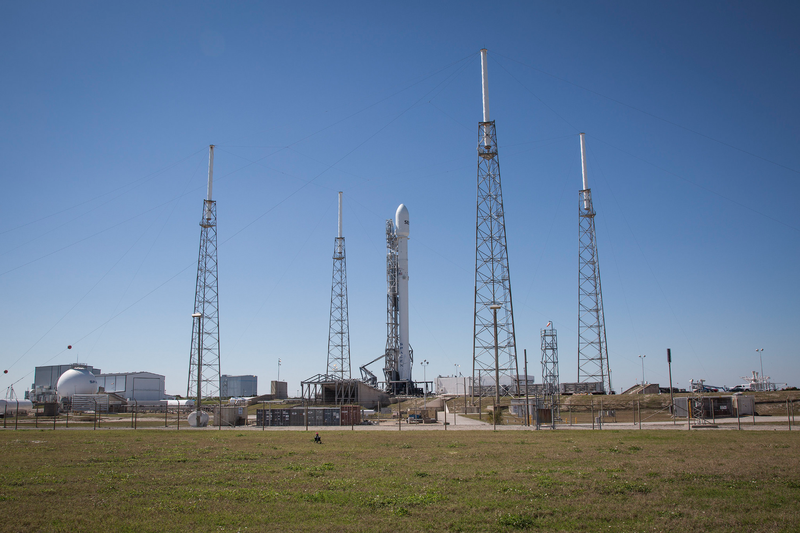 SpaceX’s SES-9 mission is slated to launch later today at 6:46pm from Cape Canaveral in Florida. The mission has been scrubbed twice already, so maybe the third time is the charm? The company noted that they’re set to try another launch attempt tonight, but noted that they’re watching upper level wind speeds. To recap, SpaceX will be launching a SES-9 communications satellite onboard a Falcon 9 rocket, and will then attempt to land the rocket on one of their autonomous barges, “Of Course I Still Love You.”(Named for Iain M. Banks’ sentient starships from Player of Games). SpaceX has downplayed their optimism for a successful landing. The company has yet to stick the landing of one of their rockets on a barge, even as they’re getting closer each time. The rocket was originally slated for launch on Wednesday, but due to weather conditions and the status of the rocket’s fuel, they postponed to Thursday. The Thursday launch was also scrubbed, again due to fueling problems. Update: 7:00pm: The countdown clock has been bumped back to 10 minutes as a hold has been placed due to what appears to be a ship in the keep-out zone around either the launch or landing sites. Update: 7:11pm: The countdown has resumed, now that the boat is out of the way! Update: 7:27pm: The countdown ran to 0:00 on the clock, and then something in the ignition sequence called for an abort. SpaceX is going to have to check out what went wrong, but they’ve delayed the launch for another hour, and might scrub the launch. Update: 7:35pm: The launch has been scrubbed for the night.